We love stories, like our own, about people who left corporate jobs to follow a dream or do something that they felt passionate about. Today, we have another installment of our “Sweet Talk” series for you. Meet our good friend Suzanne Vier, who left the corporate world for the crunchy world of granola. Inspired by flavors that she found in Spain, she came home and threw caution to the wind and started Simply Suzanne. 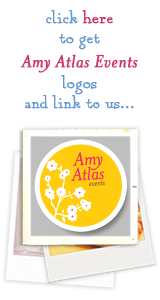 For the next two weeks, Simply Suzanne is offering Amy Atlas readers 10% off their order with the code AMYATLAS. Check out the recipe below for Suzanne’s Granola Chocolate Chip cookie recipe. We made them and they were delicious. 1. YOUR STORY IS VERY INTERESTING. TELL US HOW YOU GOT STARTED IN THE GRANOLA BUSINESS. I was living and working in NYC in the corporate world and realized that I was ready for a change. I had just returned from a trip to Spain where I studied with a Catalan chef in the Priorat region just outside of Barcelona. I had always had a love for simply prepared foods but, in Barcelona, I realized how much I loved the way their culture used spice in interesting and unique ways. I started experimenting with a friend of mine and we decided to add black pepper to the granola to give it a fuller flavor. Our friends and family loved it! It was then that we decided to give it a shot and open up a business! 2. 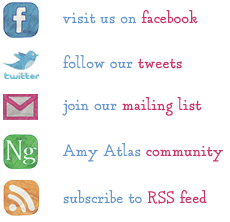 TELL US ABOUT YOUR GRANOLA. My granola is very unique in that we add spice including black pepper that offers a sweet and savory full flavor profile. 3. HOW DO YOU COME UP WITH THE FLAVORS? I go out and try different foods and I am always thinking about how different spices could be added to enhance our granola. I think about some of my favorite flavors and types of food and see how I can incorporate them in to my granola. I also visit farmers markets wherever I go to see what new and exciting local food is out there. 4. YOU LIVED IN NEW YORK CITY FOR QUITE SOME TIME. DO YOU EVER MISS THE NYC FARMER’S MARKETS? Michigan is the second largest agricultural state in the U.S. so we have farmers markets in virtually every city. The largest one is in Detroit, and it is also the largest historical farmers market in the U.S., and it’s not even a mile away. I love that Michigan has such access to local and fresh produce! Seeing people follow their dreams. I’m living in Detroit and every day I learn about a new idea or creative venture happening in the city. It’s so inspiring to see the transformation that is happening in Detroit and the food scene is on the verge of really hitting its stride. It’s fantastic! 6. DO YOU HAVE A FAVORITE FLAVOR GRANOLA? It really depends on the season. Right now it would be my So Very Cherry granola. It’s clean on the palate, a bit tart, slightly sweet, with savory notes at the end. It’s great as a topping on salads or frozen yogurt. So good! 7. WHAT IS THE MOST EXCITING MOMENT OF YOUR CAREER SO FAR? Oh, I have so many of them! That’s what I love about what I do. The sky is the limit and I am loving every moment of it! 8. WHERE CAN PEOPLE GO TO BUY YOUR GRANOLA? You can find our granola online at www.simplysuzanne.com, or in select Meijer locations in Michigan, Whole Foods in Chicago/Metro Detroit areas, and select Spartan locations in Ohio and Michigan. 9. WHAT ADVICE WOULD YOU GIVE SOMEONE WHO WANTS TO START THEIR OWN COMPANY? The advice I would give to anyone starting thier own business is that they need to be prepared that they will never “be prepared”. The beauty of anything that is new is that we don’t know what the future holds. The best laid plans, ideas, and visions can and will change. The willingness to change and adapt is what all new entrepeneurs should be willing to accept and embrace. It can certainly be scary but if you believe in yourself then change becomes the process (instead of part of the process) on the journey to excellence. 1. Put oven racks in upper and lower thirds of oven and preheat oven to 375°F. 2. Whisk together flour, baking soda, and salt in a small bowl. Beat together butter, sugars, and vanilla in a medium bowl with an electric mixer at high speed until pale and fluffy, about 3 minutes, then beat in egg until combined well. Reduce speed to low, then add flour mixture and mix until just combined. 3. Stir in cocoa power, granola and chocolate chips. 4. Drop 18 mounds (about 2 level tablespoons per mound) of batter about 2 inches apart onto 2 ungreased large baking sheets, then pat each mound into a 2 1/2-inch round. 5. Bake cookies, switching position of sheets halfway through baking, until pale golden, about 14 minutes. Cool on sheets 1 minute, then transfer to racks to cool completely. Granola, Michigan, Suzanne Vier, Sweet Talk.